The Good Life Down Under: This one's for you Jason! 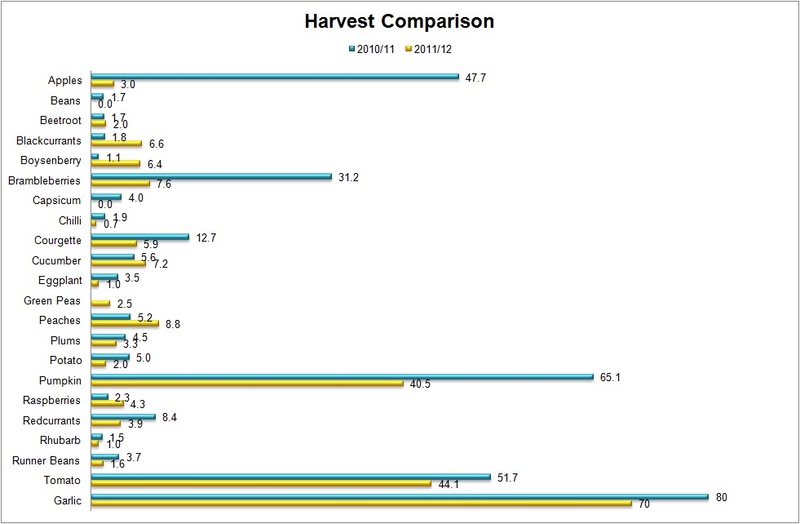 He asked how the 2011/12 season compared to last year - et voila! Last year we had about 261kg (of the things I counted), and this year is 189kg so far, but I did harvest at least 5 kilos of yacon on the weekend, and the oca is still in the ground. 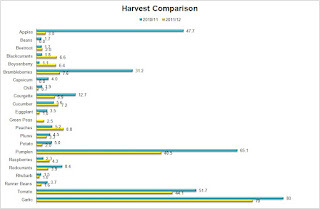 However, in spite of that I don't think we'll get too much closer to last year's harvest total. For those who are interested the 09/10 season total was 268kg (167kg accounted for by tomatoes!). However, the value of what we've grown this season is over $3,000 - which is a pretty satisfying saving all round!